This is an extraordinary film. From the original concept of the novel on which it is based (Q&A by Vikas Swarup), the screenplay by Simon Beaufoy (Full Monty) but especially the masterful creation and direction of the film by Danny Boyle. 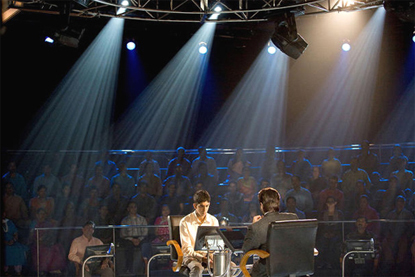 From the opening moments until the final scene, the audience was fully engaged. I was completely lost in the world that Danny Boyle created. This is not a story that has been told and retold, hashed and rehashed. It is fresh and engaging - all at once quickly moving, romantic, violent, culturally insightful, desperate and slightly fantastic. There are some comic elements to the film but to describe it as a "comedy" seems inappropriate. 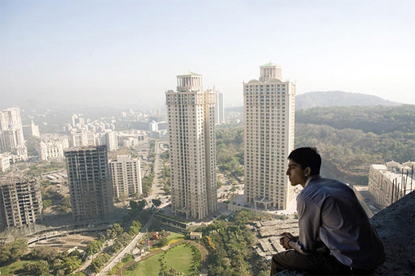 The film was shot on location in India, mostly in Mumbai. 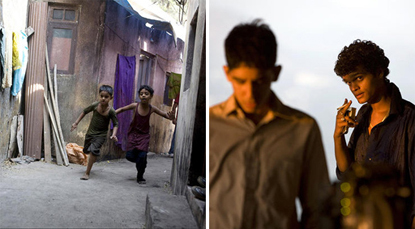 Slumdog Millionaire is yet another testament to depth and range of Boyle's artistic talent who has directed such diverse films as Shallow Grave, Trainspotting, 28 Days Later and Sunshine. I saw the film on at the 2008 Telluride Film Festival as a "sneak preview." The film was introduced by Boyle who said that the official opening of the film would be the next weekend at the Toronto Film Festival. He also said that there may be some final tweaking of the film prior to Toronto. In the discussion after the film Boyle strongly recommended three Indian made films: Satya, Company and Black Friday. He described each as superb. 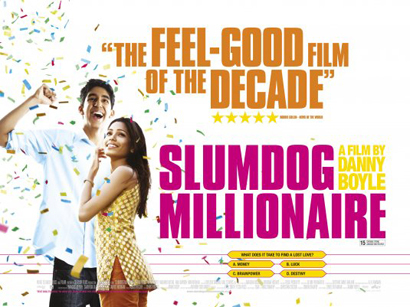 Boyle also stated that a portion of the Slumdog Millionaire was shot with a Canon EOS still camera, especially around the Taj Mahal, rather than a proper movie camera which creates unwanted attention while filming at popular tourist locations in India.